Little did I know when I joined a small neighborhood bank in Chicago in the late sixties that I would be in the distinguished position of attempting to convert the learnings of the intervening decades into reflections at a gathering of this historical significance. True, the bank was in the University of Chicago neighborhood of Hyde Park, once lambasted by Jane Jacobs for its draconian urban renewal tactics. But what we have in common with Jane Jacobs is an interest in the role of credit in the formation of young and small businesses and the international successes that greatly outperform the North American experience. Here in Toronto several years ago Jane Jacobs gave a talk to a Canadian audience interested in access to very small loans by self-employed persons. She pointed out that North Americans have no difficulty creating sophisticated financial products like derivatives but had been left in the dust by Latin Americans and Asians who have figured out how to profitably deliver loans of several hundred dollars to uneducated entrepreneurs who don't present credit or financial reports. Credit matters. It matters to societies that need new business formation which is not solely dependent on affluent and well-connected entrepreneurs who don't need loans. It matters to voters and legislators who want to assure its availability, because conventional sources of credit are unable to provide credit to young businesses profitably or are unwilling to deal with marginal clientele. But why does so little credit get delivered to those sectors even when public and private grants are made for the effort? I think that there are primarily two sets of reasons - mindsets held by both conventional bankers and Jane Citizen. Fit My Convenience: Conventional bankers put portfolio needs before the entrepreneur's needs and offer products more convenient to them than to the customers. Only in the late 1990s are some bankers scrambling to get into the market of delivering small loans quickly and combining them with other services, including fee-based information services. Small Is Simple: Bankers and many ordinary citizens have an overly simplistic view of the complexity of this subterranean market (bankable vs unbankable; "real" vs micro). It is more problematic, however, when bankers have this view because it leads them to conclude that the small customer only needs and deserves one loan window. This view results in the provision of highly standardized financial products to small businesses - dynamic, diversified, locally owned businesses that would have had a chance of succeeding if we insisted on providing financial products to benefit them. There may be a market for highly standardized small business loans that become profitable to the banker. But this alone will not take advantage of the opportunity to convert latent entrepreneurial energy existing in every community into additional viable economic activity. Young businesses have, by definition, short to non-existent track records. Most have far more production abilities than marketing, management or financial skills. These gaps in entrepreneurs' abilities and connections make it too simplistic to say that "small is simple" or even that "credit matters." More than credit alone is necessary for success. Bigger is better and community development is not business: Traditional bankers like big loans. They are transaction-oriented and have a short-term focus more on doing the deal than building a local economy. They believe too strongly in Adam Smith's "invisible hand." They avert risk instead of managing it. These behaviors cause them to rely too much on the entrepreneurs' asset base for collateral and too little on business analysis. Their low margins - caused in part by a reluctance to charge "above market" rates of interest - mean that they traditionally preferred a more limited range of products to manage their risk. Since small business loans do not easily fit within a banker's business, many bankers are happy to palm off the responsibility of economic growth to charity-type organizations less well equipped to offer credit for enterprise development. The modest scale of most non-profit and public sources of business credit in North America, however, has taught us that supporting entrepreneurs through softly managed loans and mediocre advice simply does not work. On the other hand, Joan Citizen feels that banks are the problem and interest is unfair. How many speakers at how many conferences on access to credit rail at banks as the ogres in the story? Most. How long will it take Joan Citizen to learn that the problem is not the price of credit but access to it? Possibly forever. Small business formation feeds a region's growth. Match multiple types of unconventional and conventional credit to business needs. Small loans are more challenging than big ones. Capital without accurate information is useless. For-profit credit and information services are more powerful than subsidized credit and information. Subsidize some credit and information services. Privately capitalized development finance institutions can do this work. Having introduced you to these propositions, I want to describe three superior strategies which worked - that is, they produced noticeable increases in economic activity, wealth and personal incomes. Those involved acted on some of these truisms and did not fall into all of the traps of the mindsets of Joan Citizen and our conventional banker. I am describing successes. Too often we over-diagnose failures - what we shouldn't do "next time" - instead of understanding how and why successful interventions work. They can't be "imported" lock, stock and barrel, but are the basis for rooted businesslike interventions. I will conclude by tying some of the lessons from these successes back to the above ten truisms. Access to credit is being reached at scale and is widely believed to be improving the quality of life for individuals1 - not only improved income but also improved education and nutrition, as well as limited empowerment gains. Numerous studies on the micro-credit successes in Bangladesh outline various determinants of Grameen's and BRAC's success. social collateral: the group-credit system itself makes the five member groups jointly responsible for repayment and replaces traditional collateral with social collateral. market interest rates: Loans are not cheap. The entrepreneurs who run BRAC and Grameen are more interested in being sustainable - covering their costs of operations from customers - than in being cheap, especially since they found that most borrowers who need small loans can make a return on the capital that is higher than the rate of interest they charge to be sustainable. Another advantage of market rates is that they discourage politically-motivated hustlers seeking a political favor. business principles4: If a branch manager has a cash short-fall, he has to borrow from the head office at a higher cost than if he collected 100% of loans or increased lower cost savings deposited at weekly meetings. This provides an incentive to the branch manager to collect hard and encourage savings. individual self-interest and incentives to perform5: Borrowers repay because they can get a bigger loan next time. Despite "group culture," individuals do break the rules when it's in their individual interests to do so.6 Checks and balances provide incentives for staff to perform. Cross checks by different levels of staff and transparency are in the organizational design to prevent corruption and nepotism. publicity, profile and promotion: Everybody likes a successful project. BRAC and Grameen's early successes attracted attention which in turn attracted other stakeholders including both politicians and those with capital to support these organizations. Staff know they are in the spotlight so they perform well. They feel motivated because of the high visibility of their organization. The transparent organizational structure lets individual good performers be noticed and become candidates for promotion. Success thus becomes a self-fulfilling prophecy. geographic proximity of borrowers: BRAC borrowers live in very close proximity to each other and their reputations are known to one another. They cannot escape seeing their neighbor when they neglect to make a payment. There is daily pressure and shame. BRAC field workers also interact often with borrowers. They go to the borrower's home after a weekly meeting if a member was not present or did not make a full payment. In the US, however, two non-profits that I have worked with have tried to adapt this group pressure methodology among African-American women without attracting many borrowers, although Calmeadow in Toronto is currently experiencing steady growth among a different target group. Differences in cultures of borrowers are important. Maybe, unlike in Grameen and BRAC, there was a lack of interaction between borrowers outside of meetings in the US examples, as well as less interaction and personal contact between loan officers and clients. paid-for information services to grow existing firms: Credit is a component of a broader development agenda. In that sense, the organizations' approach to credit and development is not minimalist. To the extent, though, that credit is managed separately from other activities and dedicated staff focus narrowly on credit objectives - factors which contributed greatly to the success of the credit program - both Grameen and BRAC are often perceived as minimalist-credit providing organizations. Credit, however, is only one component of their development agendas. BRAC has a massive education program (non-formal primary education), as well as a primary health program. Grameen has a primary health program. Both are currently engaging in large telecommunication ventures. BRAC alone employs 33,000 part time teachers who cover 50,000 villages in 60 districts in Bangladesh. Although these businesses are managed separately, the impacts of the education and credit programs are mutually reinforcing. Both contribute to growing the entrepreneurial and economic base in the country. BRAC provides and charges for information services, technical support and training to borrowers in specific income-generating sectors such as fishing, poultry/livestock rearing, agriculture and sericulture. Service charges for borrowers were introduced only a few years ago, and cost-recovery is expected to reach 50% this year.7 A chick-rearing borrower Shorebank interviewed has no problem paying for the services that enable her to produce more as well as better quality chicks. One poultry rearer told us, "Just as there is no end to the benefits of education, so there is no end to the benefit of profit." Although some services will probably always need to be subsidized, BRAC has decreased its cost/borrower by focusing on a limited number of sectors in which a high volume of women are already engaging in entrepreneurial activities. A study of six successful poverty alleviation programs found that clients of the organizations (including Grameen and SEWA) were already producing what they were receiving assistance in. Where the organizations themselves undertook activities, they were well known in the area and easily mastered. BRAC's sector programs certainly fit this description. Finally, Grameen and BRAC are often hailed as market-driven credit programs, which do not require subsidization. While true now, it was not always the case. BRAC and Grameen would not have gotten off the ground at scale if donors had not provided up-front capital. Grameen found its first institutional home at Bangladesh Bank, the central bank, as an experimental project. When Grameen became a bank, the Bangladesh Bank link continued informally when three Bangladesh Bank professionals took extended leave to become Grameen managers. Ten years ago I visited the town of Carpi with a group of US community development professionals. We were amazed at how successfully small firms were able to get hold of the latest marketing information and technology breakthroughs at a price they could afford from a user-funded association. It struck me that for-profit (or sustainable) technical assistance to small firms could actually work. Carpi is a small city in Emilia-Romagna which had a working population of 31,000 in the late eighties. Emilia-Romagna has over 300,000 firms. The principal industries are metalworking, shoes, knitwear, ladies garments, machinery and food processing. Many employed less than 22 workers; 60% in the labor force worked in these small firms.8 From the mid-seventies, wage levels in Emilia-Romagna were equal to that of Piedmont, the most industrialized Italian region and in 1976, unemployment in the two regions was at 2.8% vs a national rate of 3.7%. Just forty years earlier, this was a wholly agricultural region with per capita income well below national median income levels. In Carpi, 12,000 of the 31,000 workers were engaged in the production of garments, mostly knitwear, in 2,500 small firms or artisan shops. Together they produced 25% of all Italian knitwear. Carpi workers received among the highest wages in Italy.9 Access to the latest market and technology information together with technical assistance services was a major reason underpinning Carpi's economic success. In the seventies, Carpi knitting manufacturers realized they had a problem. They faced a sharp change in market demand for knitted goods - a demand which required increased quality, quicker turnarounds, and more variety of styles. This shift in demand required manufacturing flexibility and smaller production runs of higher style fashion. Producers knew that if Carpi's industrial structure did not "shape-up" with the most up-to-date product development and market connections, more sophisticated technicians and managers, and new technology and equipment, it would lose out in the race for global markets. Its lead in fashion trends would be lost. In 1980, the City of Carpi, the region of Emilia-Romagna, CNA (a large national association of small business owners with 75,000 members in Emilia-Romagna) and other business associations came together to create a knitwear/clothing sector service centre called CITER. And it was CITER we visited one afternoon nearly ten years ago. CITER sees itself as working specifically for the knitwear/clothing sector furnishing producers with information on markets, products and technology. Think of CITER as a "connector" making a link between the entrepreneur and the market and, as Professor Sebastiano Brusco points out, carrying the innovation at the small firm to the larger outside equipment manufacturer and to the university.10 (BRAC also plays this "connector" role between its members and the market.) CITER has a staff of 10 and a large network of professional consultants. CITER's impact seems to be the result of its unique combination of marketing and technology transfer skills and its ability to institutionalize communication among the small firms in Carpi. CNA's involvement as one of the partners was critical as it was one of the most powerful and largest small firm associations in Italy that facilitated the re-combination of productive enterprises to meet changing customer demands. organization of guarantee cooperatives to get competitive rates from banks. When we were there, a whole lot of tradespeople and buyers gathered at dusk at CITER for an elegant Italian buffet. During dinner, two music videos displayed the "neo-kitsch" fashion trend forecast to be "hot" 18 months hence. CITER exhibited suppliers' yarns and a new CAD-CAM machine was available for hourly rental by members. Towards evening's end, the band struck up some sentimental Italian music and everyone danced. We left the medieval square long before the party ended. It struck me that I had just witnessed a brilliant piece of technical assistance. CITER believes that it can be most effective when it broadcasts valuable information broadly to its members in large group meetings. There was no meeting that night but technical assistance was certainly delivered. CITER solved a key problem for small firms, the problem of lack of access to accurate and timely market information. Few small firms can afford it but member groups like CITER can buy the same Paris and Milan fashion forecasts as large corporations can. also, like BRAC in Bangladesh, initial government support and subsidization is often necessary to catapult firms with economic potential into successful ventures. To date, Shorebank's most successful enterprise support program is its multi-family mortgage loan program which finances residents in the business of rehabbing apartment buildings in our target areas. This unconventional approach to entrepreneurial development provided not only a profitable lending niche for South Shore Bank, but also created successful businesses, and visible development benefits. The local residents realized real estate appreciation and improved, secure affordable rental housing. The primarily African-American building owners realized an increase in wealth. The most important lesson here is that successful interventions capitalize on a true market opportunity to attract other investors to the market. Individual entrepreneurs can't go against or even test market forces in areas experiencing disinvestment. Our core business strategy was to restore local markets by encouraging new local investment in targeted local economies. In the case of the South Shore real estate market, the stage for our successful credit program was set by a consortium of savings and loan associations who - at Shorebank's aggressive urging - undertook a 300 unit, publicly financed, scattered site rental housing rehabilitation project in South Shore. The project demonstrated strong market demand for the highly attractive rehabilitated, secure and affordable rental properties. Thereafter, it was safer for smaller local investors to proceed without subsidy, to risk their own savings to purchase other buildings, and for South Shore Bank to finance them. It took us by surprise that at the same time as the bank's commercial lenders were getting nowhere with a more traditional outreach to small local entrepreneurs, the bank began to succeed with another group of entrepreneurs - the local rehabbers. The rehabbers were succeeding because they were true skilled entrepreneurs in the neighborhood. 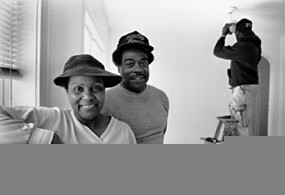 Local rehabbers succeeded by acquiring under-valued assets (apartment buildings in a neighborhood enduring racial change), investing in their upgrade in a cost effective manner through shrewd purchasing of materials and use of their own and other available labor, and they took advantage of the strong market demand for safe and affordable housing. In essence: the market was right; they had the skills and drive; and they matched their motivation with a huge time commitment (true sweat equity) and dedication to their business of rehabbing. Customized Loan Structuring: The way South Shore lenders tailored loans to meet customer needs was a critical success factor and a very different approach to the technician-style asset-based approach that other commercial banks were taking to the same market. The loan program operated simply, without construction escrows or much paperwork. This style matches the pragmatic style of most borrowers, and the deal's inability to afford much in soft costs, with the personality of our chief lender, Jim Bringley. Jim had (and still has) a disdain for bureaucracy and a passion for interactive customer contact, both in meeting the borrower's financial needs, and "collecting hard and fast" when the borrower slipped on a scheduled payment. Our mandate to lenders was simple: "If a guy comes in with promise, make it work financially." Loans were structured to fit the borrower's cash flow. This might mean an initial six months moratorium of principal payments, approving loans with an additional amount for working capital to fund early bank repayments, or offering a line of credit to buy a property quickly and cheaply from a desperate seller. Information Services: Technical assistance took the form of a more informal network than those in Northern Italy: through rehabber networks started by a modest bank effort. Jim understood that the rehabbers could benefit from interacting with one another. He knew most local rehabbers since they all had taken out loans at the Bank. He offered them the boardroom as a place to meet on Saturday mornings to talk about issues of common interest. The primary motivating force for his decision was the fact that entrepreneurs learn from other entrepreneurs. They believe someone who has already done something that has worked. It is very different from the "cheap talk" offered by the many trainers who have never set a foot on the ground and used by many new entrepreneurs who are also in the "just talking" stage. Jim organized meetings around specific topics such as boilers. Half the attendees were proven operators; half were novices. The guys who had done well had credibility. So if one of them said, "Hey, don't get that type of boiler" or "Use Jack's Boiler Company to fix that problem" the others listened and learned. In recent years, the rehabbers run their own meetings at a local McDonald's. Shorebank lenders also assist borrowers by advising them when they are probably overpaying for a property because assisting a borrower not to overpay means the loan will be better able to fund needed rehab work; on rehabbing options, especially if they do not have much extra cash on hand; and on why they should start small. The rehabbers like working with South Shore Bank; it provides value in the form of its knowledge of the market and what works. The lenders are "connectors" to market and other knowledge similar to CITER and BRAC. Our real estate department likes to grow with its customers for as many decades as possible. It prefers to finance first-time rehabbers on a small building which is a good fit with their existing capacity and to grow with them as they develop more capacity. For bigger apartment buildings with large rehab needs, we prefer rehabbers to show that they will devote significant time to the project. If they are not already working on the rehab full-time by the time they are doing 36-unit rehabs, they should demonstrate that it is their intention to do so in the future. Our rehabbing initiatives provide a good example where "small is big" contradicts the banker's "bigger is better" idea of business. The cumulative impact of rehabbing has resulted in job creation, safe and affordable housing, and a better quality of life for residents. It has brought more mainstream investors into the area. Large banks now compete to make loans to rehabbers. And local rehabbers have built up both equity and skills to undertake larger scale rehabilitation. Today, dozens are engaged in extensive rehabs of large 3-storey, 24-36 unit brick buildings. Without a penny of subsidy, the finished project is a truly beautiful building that invites the typical tenant, a young woman with a child, to rent here for safe and affordable housing. Two loan officers currently finance the rehab of 75-100 buildings each year. That's $10 million/year per lender and an average loan of $250,000. Since the late seventies, the work of these entrepreneurs has affected over a third of our first neighborhood's 24,000 units of rental housing in South Shore. We now operate in 13 designated neighborhoods, home to nearly half the city's African-American population. Demand remains strong in our initial neighborhood 20 years later, and is growing in the neighborhoods closest to the lenders. The loss rate on these loans is low by bank industry standards; the portfolio contributes substantially to profitability. It is hard to imagine three places as dissimilar as BRAC in Bangladesh, Carpi in northern Italy and South Shore on the south side of Chicago. In each place, an intervention has been attempted to increase the level of economic activity for the benefit of the ordinary citizen and the improvement of a community. What are the threads that tie these disparate experiences together? Netted out, all of these interventions are customer driven, financially sustainable, at a scale to make a measurable impact and each one served as the "connector" with the world outside the entrepreneur's daily sphere. Small business formation feeds a region's growth: We saw it on a local scale in South Shore, a regional scale in Emilia-Romagna and a national scale in Bangladesh. The usual community development arguments for focusing on small business growth are jobs, poverty alleviation, wealth generation, and strengthening the community fabric. Local business owners are more likely to make long term decisions benefiting the locale as stakeholders than absentee owners. None of the organizations "bet the ranch" on one sector, even though each built deep market knowledge about promising sectors of existing clients. Diversified, locally-owned economies reduce dependence on any one sector and susceptibility to downturns. Diversification encourages economic growth through the more rapid deployment of innovation13 but some specialization provides value to the firm. The poor repay: BRAC and Grameen repayment rates are phenomenal. South Shore Bank's defy common expectations of African-American entrepreneurs. Moreover, small firms, even those that are poor, will pay for demand-driven information services in places as diverse as Bangladesh and northern Italy. Only here do we imagine that access to technical assistance is an entitlement which can be mediocre in quality and impact. Scale matters: Rehabbers in South Shore improved over a third of the area's 24,000 rental housing units. A substantial amount of investment is required to tip an area or region's growth positively. Carpi's information services were provided at scale to small firms. You can only get to scale when programs are sustainable (e.g. BRAC, Carpi and South Shore). If growth requires subsidy for operations and if subsidy is scarce, then growth is constrained by the availability of subsidy. If a program can earn most of its revenues from its customers - and attract its funding in a public marketplace - then self-propelling, long-lasting growth is possible. Ordinary people would rather do business with an independent, growing, businesslike institution than with a short-lived program. Match multiple types of conventional and unconventional credit to business needs (i.e. customer driven credit): South Shore loans to rehabbers were structured flexibly. A different loan product has been tailored by Shorebank to Cleveland rehabbers who buy, rehab and sell single family homes. Small loans are more challenging than big ones: There are implications for loan structure and risk management if companies have no credit histories or cash flows. Constant interaction is needed between borrower and lender over time. Capital without accurate information is useless: Carpi in northern Italy shows that access to market opportunities, management systems and technology are all as important to enterprise success as access to capital. CITER helped small producers to compete in competitive global markets. This is because strategy drives finance, rather than the other way around. And strategy and market response is dependent upon accurate information - especially in the light of fickle customers and changing market forces. Talk is cheap: We saw in the case of South Shore rehabbers and in Carpi that entrepreneurs learn best from other entrepreneurs and through technical assistance that meets the "market test" of being worth paying for. There are a lot of "talkers" on both sides of the podium who take advantage of subsidy without being accountable for "something happening." For-profit credit and information service is more powerful than subsidized credit and information: From the providers' perspective, soft money has weak accountability mechanisms which work against sound business decisions. Those who manage the programs are not those who ultimately bear the risk for bad loans. It's not their money. Unless mechanisms are set in place that assure the same level of accountability for subsidized credit (both by the loan officer and borrower), for-profit credit will always work better. Also, for-profit credit providers have the advantage of being able to tap less finite sources of funding. Private and public grant funds are short term and scarce. For-profit credit providers are permanent institutions and have the ability to act methodically over many years to reach "scale." People will pay for services they value and these payments increase the relevance and permanence of the service provided. We saw this both in northern Italy and in Bangladesh. Subsidize some credit and information services: There was initial government support of Grameen, donor support of BRAC and regional/local government support of CITER. The Italian model has been replicated elsewhere and suggests that public resources can be best leveraged by working with groups of enterprises that define their own distinct interests. This lowers transaction costs and facilitates mutual learning. Privately capitalized development finance institutions can do this work: Someone must take the up-front risk. Development finance institutions which usually have patient investors and some government subsidy can often afford to take the plunge. They tend to be more accountable to their investors for development impacts than non-profits and public agencies are to governments. Because they are sustainable, they can retain talent that can envision and implement ambitious long term goals and respond to opportunity when it arises. After decades of relying on weak non-profits to do society's work, there is a glimmer of interest these days in this kind of well-capitalized institutional structure to achieve economic goals within a recognition that a community's health is multi-faceted and complex. I have focussed on matters relating to credit. We do a disservice to the places in which we live when we demand too much simplicity. We can find principles that have worked elsewhere. They will have to be greatly adapted from place to place and be tried in the marketplace over many years. If we cared, we could to it. Helen Todd in Women at the Center (1996) supports Grameen's claim of increased calorie count among members and also notes some empowerment gains. Alex Count in Give us Credit (1996) and Pankaj Jain's 1994 study on Grameen in World Development Journal vol. 25 No. 1 titled "Managing Credit for the Rural Poor: Lessons from the Grameen Bank" give additional references. Annual Financial Review paper on BRAC by C. Kellogg and I. Pikholz (both of Shorebank Corporation) for BRAC's donor consortium. Annual Financial Review paper cited above. This has become a growing concern for program sustainability because donor funds are highly competitive. There are over 300 micro-credit NGOs in Bangladesh. Donors are also demanding more transparency and accountability from the NGOs they support. Paper by Pankaj Jain focuses on how the organizational structure and processes of Grameen propel conducive staff and borrower behavior and is, itself, an incentive to perform. Helen Todd (1996) in Women at the Center published by Westview Press also writes on borrower self-interest. Helen Todd who recently studied the Grameen Bank in Bangladesh found that it is in the self-interest of Grameen Bank workers to assist borrowers in covering up non-performance to make the branch look good. Interview with BRAC manager during Shorebank Annual Review in December 1996. Unpublished paper from the proceedings of a conference at the World Trade Center, New York City on October 21 and 22, 1986. Unpublished paper by Dr Loredana from the proceedings of a conference at the World Trade Center, New York City on October 21 and 22, 1986. Sebastiani Brusco, Trust, Social Capital and Local Development: Some Lessons from the Experience of the Italian Districts in Networks of Enterprises and Local Development, pp,115-9. In the late eighties, 74,000 of the 139,000 artisan shops in Emilia-Romagna were CNA members. In total, it had 340,000 members in 1986. Technology Institutes in Denmark which also receive some public funding are expected to earn approximately 70% of their budgets from the firms that they serve (source: draft paper by Richard Hatch 1988 called Building Manufacturing Networks). This has been argued by Jane Jacobs in Cities and the Wealth of Nations: Principles of Economic Life, New York, Random House, 1984. The interplay between diversification of an economy and the benefits of specialization by sector, by both firms and public/private enterprise support agencies, may be the complex core of effective economic development. So what's new with Shorebank? "Since the time of the talk we've started a small business loan program on an advisory basis. We advise banks in the Caucasus - those are the countries of Azerbaijan, Georgia, and Armenia. This is the same kind of advisory work we've done before in Poland and Russia and Romania and Bulgaria. We've gotten a bank going on the west coast. It is a partnership with an environmental group called Ecotrust and the bank opened its doors in August 1998 so it just finished its first calendar year. Those are probably the major developments. Things are going very well - the bank in Chicago is growing well. This will be the first year in which our total new loans and investments for the purpose of community development for the year is in excess of $100 million - it should be just about 101 or 102 million - that's a record - the prior was $85 million."